Avoid the long lines at the Pompeii UNESCO World Heritage site and breeze though for a guided tour of the historic site. 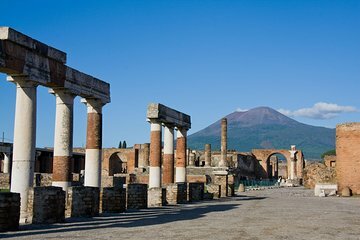 After your guide purchases your tickets (price not included,) enjoy an approximately 2-hour tour of the city preserved by the tragic eruption of Mount Vesuvius in 79 CE. This tour is an excellent option for families and those looking to make the most of their limited time.